Ald. Cappleman's latest newsletter says, "Every year, the City counts the number of people who are experiencing homelessness, either sleeping in a shelter, on the L trains, or on the streets. If you would like to help with this, the Dept. of Family & Support Services is requesting that you first go through training. 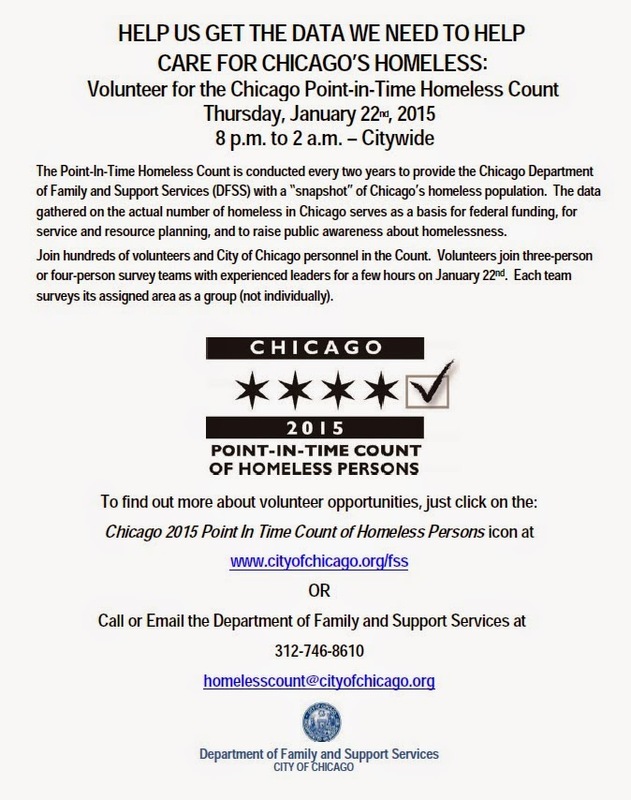 For more information, contact Adriana Camarda at adriana.camarda@cityofchicago.org or call her at 312-746-6685."